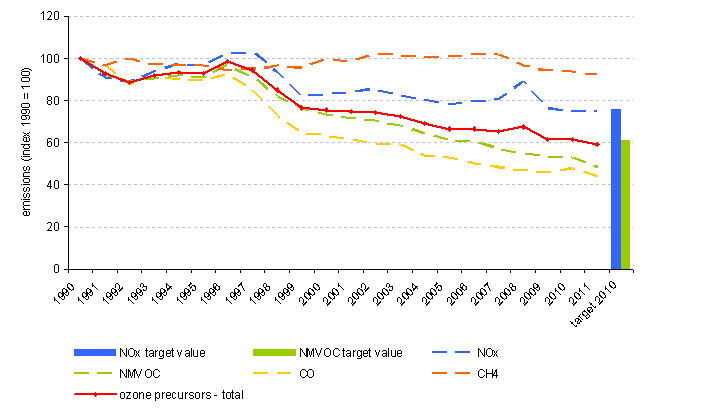 Emissions of ozone precursors have decreased by 41% between 1990 and 2011. Emissions of nitrogen oxides reduced by 25%, carbon monoxide by 56%, non-methane volatile organic compounds by 51% and methane by 7%. Reduction was caused mainly due to implementation of more stringent emission standards for motor vehicles which mostly contribute to a significant reduction in emissions of nitrogen oxides and carbon dioxide. 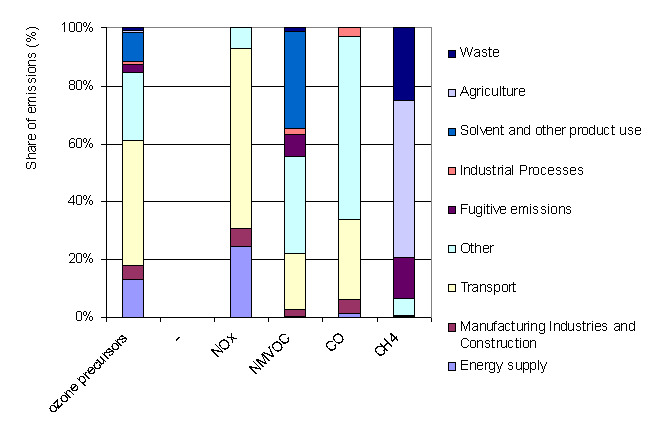 This emissions originates from road transport - main source of ozone precursors. 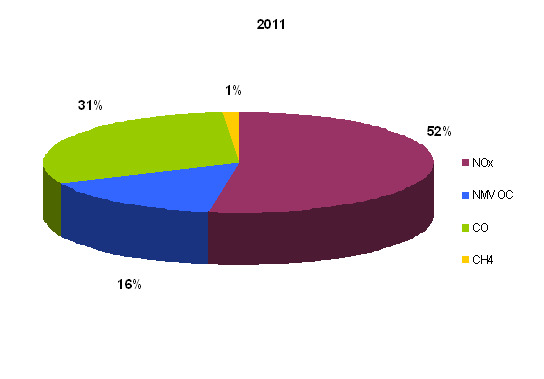 Emissions of nitrogen oxides and non-methane volatile organic compounds were in 2011 below the limit valute set for 2010.